The ultimate anti-malware solution with awesome features that leaves no chance for any cyber threats! GridinSoft Trojan-Killer is the best remediation against all types of computer threats on your Windows PC including malware, adware and PUPs. It is quick, reliable and efficient. It’s your primary helper when you’re tired to struggle with unknown processes on your PC. Is not an antivirus, but much better and more effective! Defeat viruses within few clicks instead of long-lasting and really boring manual procedures and get the help of security experts whenever you need it. Wherever you are, we are always ready to help you with your PC troubles. Cure your PC and keep your privacy safe! so i am the average shade tree computer guy. What i know i learned along the way. Before i ran the program my memory was being used was at 6 gig at any given moment. I bought more ram 4 days ago as a result . dd4 is expensive. After running i am at 3 gig of ram being used and i shaved almost 10 seconds off my boot time now down to 32 seconds. THANK YOU VERY MUCH. Program keeps locking on a desktop shortcut @ 99% finished and will not finish the scan. 11 objects found but upon reopening of the application after a forced close it does not have a history of previous scans, so can not even look at what if found previously. 10 out 10 i would uninstall it again…. scoring 1/5 only because it is required to leave a 1 star to leave a comment. Maybe it gave a good result because it caught 72 Trojans for me (although my laptop has Comodo Internet Security Pro, Microsoft Defender on Win 10 Pro, Malwarebytes Anti-Malware and Zemana AntiLogger) – I think some of them are not correct recognition. Its interface is very simple, but not convenient because it cannot resize to view a long paths. Since some of the log paths are 800+ characters long it is not practical to view them in the interface. However, a provided option to save each log in a text file , like TK2018-08-15 [08-34-12].log, allows a convenient format to analyze anything you are capable of, including an ability to compare before and after modifications. O my god man, you don’t need so many antiviruses, they are slowing you PC down! 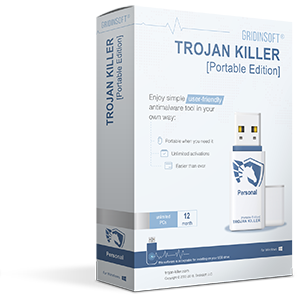 Trojan Killer Portable is an effective anti-malware tool for the PC and USB flash drive. It is portable so it can be carried around with you anywhere you go. It makes sure that the user is safe from internet threats no matter where they are. Trojan Killer Portable can remove viruses, annoying advertisement modules, spyware and other malicious instruments developed by hackers. The tool is fast, effective and reliable. This tool provides all-in-one solution for any cyber threat. Being portable allows this tool to be carried around, and scan and cure as many PC as the user wishes to. When launched for the first time, the software updates its threat lists from internet, so that the threat lists are the latest when the PC is scanned for the first time. The user interface is user friendly and all the options are present upfront. This makes it easier to use for all types of users, without any complexities. The options available are Standard Scan, Full Scan, Custom Scan and USB disks. The user can choose the one that is required an the scanning starts immediately. The scanning process may take a while to complete on some larger hard drives, but it will be worth waiting for. After the scan is done it shows you all the infected files and malicious files, then you just have to hit the ‘Cure My PC’ button and you’re done. All the malware, adware, trojans and viruses should be removed from your PC. There is an option on top-right that says “Go to Reset Browser Settings”, this option restores all the settings that have been changed by malware and viruses. Portable– can be carried around and used to cure as many PC as you want. Simple UI– nothing is lacking, everything is well presented. Makes the tool easier to use. Scan24 Engine– Powerful engine created by Gridinsoft developers that is able to protect your PC against 24 types of threats. Browser Clean and Reset– is able to recognize and remove threats that were injected into your browser (or several of them). No installation required– can be used without installation to scan and clean infected computers using any convenient USB-device. No Real-time protection– should be available for the users who have installed it in their PC. Malicious URLs blocking– it should have the ability to block the URLs so the browser and PC are not infected. A bit pricey– with no real time protection, URL blocking and download files scanning the tool is a bit too pricey. Simple UI– looks good and gives a great user experience. 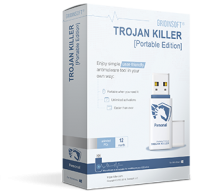 Trojan Killer Portable is an effective solution to problems like viruses, malware, adware, browser redirection, pop-ups and search engines. It is an easy to use tool for anyone that might be facing any issues of this kind. It is portable so can be used to fix as many PC’s as you want to. It’s detection rate is great and the database is updated almost every day, making it able to combat against all the latest kinds of malware and adware. With it’s beautiful interface and powerful scanning technology and portability, Trojan Killer Portable is definitely a tool worthy of being in your tool box.